FXFledgling Exit Tool is a complete risk management tool that analyzes both the open trades and the direction of the pair of open trades. As long as the suggested entry and lotsizing management presented here is followed strictly, you will have a high chance (but no guarantee) of surviving the trade. Dynamic Stop Loss - a calculated stop-loss that changes the level every minute depending on the risk. Grid Averaging - it does the grid when a clear reversal is detected. Download the tool. Copy and install it in Expert tab of MT4. At the menu, click the "Autotrade" to color green. Attach the tool once in any chart at any timeframe. Do Lotsizing & Money Management. 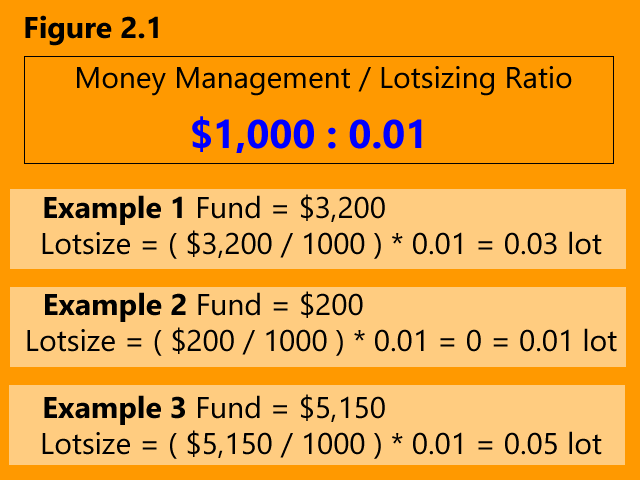 Use the ratio of $1000:0.01, meaning use a lotsize of 0.01 for every $1,000 of the fund. For example, if you have $2,000 divide it by 1000. Multiply the result by 0.01, so it's 2x0.01. The lotsize is 0.02. For more example, see figure 2.1. Do Entry Trade Analysis. The first thing to do is to know the trend of the pair you're going to trade. You can use your own trend analysis method. Or in case you don't know any trend analysis yet, you can use these 2 simple analysis methods. Feel free to use any of the methods in figure 3.1 and figure 3.2. 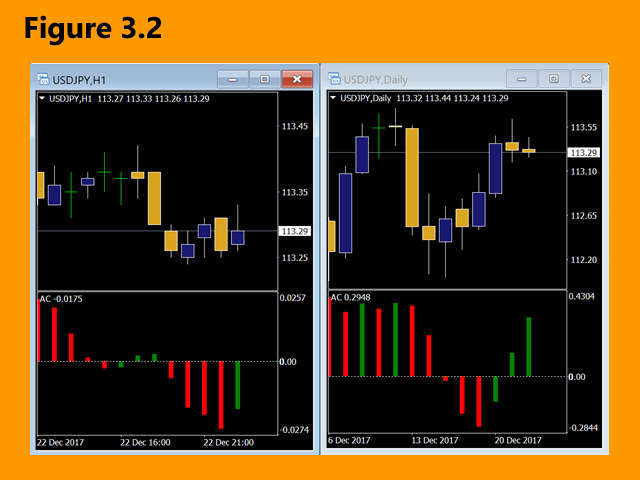 In figure 3.1, both H1 and D1 timeframe should have the same setup, use SMA7, SMA21 & SMA50. For bullish analysis, the current price should above SMA7, SMA7>SMA21, & SMA21>SMA50. 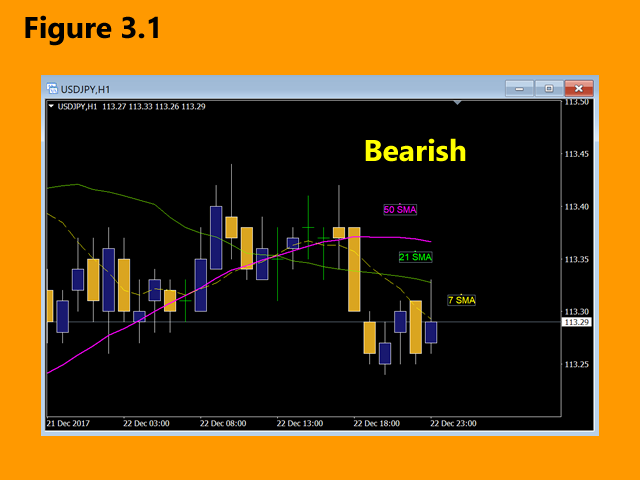 For bearish analysis, the current price should below SMA7, SMA7<SMA21, & SMA21<SMA50. For figure 3.2, use Accelerator Oscillator (AO). For bullish, current bar of AO is green in D1 & H1 has a green 1st & 2nd bars while 3rd bar is red. For bearish, current bar of AO is red in D1 & H1 has a red 1st & 2nd bars while 3rd bar is green. Open a trade manually. If bullish, open a "BUY LONG". If bearish, open a "SELL SHORT". After you open a trade, the tool will take care of everything. It has a hidden calculated Stop-Loss, Trail Stop, and calculated grid averaging (if needed). It will close the trades for you. Be sure that your MT4 and Internet is running and fully connected. If you want to be conservative do a one open-trade at a time. If you want to be aggressive, you can open trades with multiple pairs but check Free Margin Level % if it's 10,000% or more before opening a trade. If the level % is less than 10,000%, do not open another trade. The free margin is allotted for the tools to maneuver the price and protect the fund when your trade meets a reversal. This risk-management trade-exit tool DOES NOT give a 100% winning rate but if you get serious on your entry analysis will give you a higher chance to protect your fund. Minor bug on pending orders deletion to protect margin is fixed.